Nothing excites my seven year old son more than a building challenge. He will build for hours and loves to use many different types of hands on building materials. He is also homeschooled so building sets are an excellent way for him to learn specific science and math concepts by “bringing it to life”. Zometool Building Toys is proud to connect “art, science and play” with a series of fun and educational building toys that are sure to be a hit with children this holiday season. 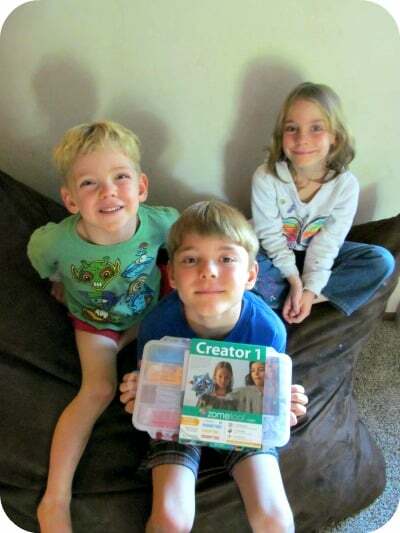 From the Creator 1: System Kit to The Buckyball and Ice Crystals and Stars Project Kits there is sure to be something to stir the imagination of boys and girls of all ages. In fact, this kit is not just for kids but is even used by Nobel Prize Winners. How exciting that this toy may inspire children today to become the scientists and engineers of tomorrow! 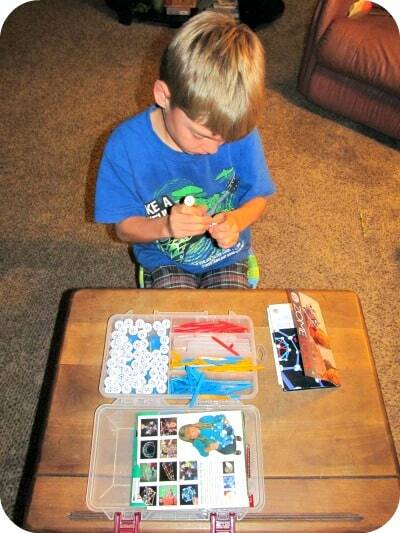 My son was so excited to get started building with the Creator 1: System Kit ($59) from Zometool! He set down at the table and began reading the user friendly instruction manual. After reading this helpful book complete with illustrations and building tips, he was ready to start building. Two hours later………….he was still building his masterpiece which he proudly displayed to the family. How does it work? There is a series of Zometool struts that connects to holes of matching shapes. For example, the blue struts fit into rectangular holes and the yellow struts fit into the triangles etc. The design possibilities are virtually unlimited as children’s imaginations are sure to soar when building these kits and models. Adam loves designing 3-D models and was even “commissioned” by his sister to build her a seat for her doll to sit on. After much thought, a written plan and hard work….he did it much to her delight. 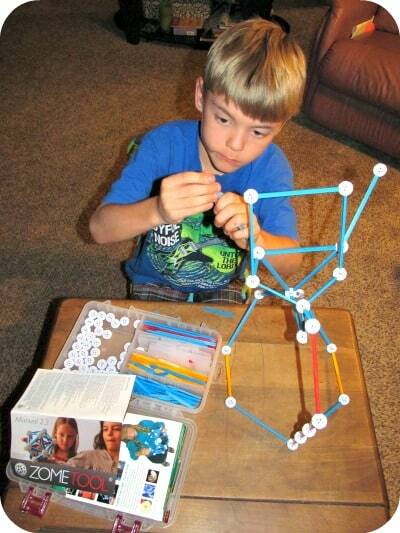 Zometool Building Toys are a great way to introduce children to physics and geometry. It also allows them to explore their artistic side with creative designs. If you are like me and prefer your child to play with educational toys that are fun and don’t require batteries than Zometool Building Toys are a great resource. My son has played with the Creator 1 set every single day, sometimes for hours at a time. You are invited to visit Zometool to purchase the Creator 1 set or browse the entire selection of fun, educational toys. 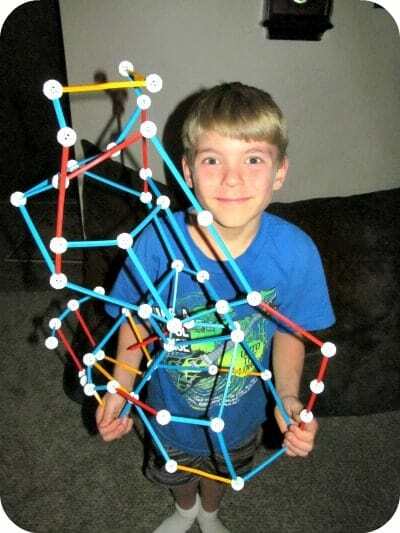 There are a variety of Zometool building kits and toys available in budget friendly price points too from $10 and up making it an excellent gift idea. WOW! Simply Stacie readers can exclusively receive 15% your purchase from Zometool by using the code “Stacie” (case sensitive)! Wow, this is *amazing*. I could see myself popping for the Stem+ Kit. Getting that would save you about $350 over buying all the projects individually. My brain is drooling! I like the superdo. Thanks for the chance. I learned that Zometool is a rich new medium for creative expression. the superdo kit looks fun! I love the ICE CRYSTALS AND STARS kit. i love that you can make huge constructions! i really like the dome bundle!!!! I like the Ice Crystals & Stars kit. I love the Dome Bundle! I really like how versatile this “toy” is, that it is used by kids and Nobel prize winners alike. I like the ICE CRYSTALS AND STARS. The first ball came out perfect, the very first time. A revolutionary intellectual technology was born. The date was April 1, 1992. I liked the ADVANCED MATH CREATOR 4. THe ADVANCED MATH BUNDLE looks great. Life is based on 4 elements. Combine them properly and build 28 of the basic molecules of life. ICE CRYSTALS AND STARS looks like a great kit as well.